Emilio Aladrén was a sculptor whose fame is divided between his work and his relationship with the poet Federico García Lorca, whose separation led the Granada poet to New York. His subsequent political alignment would lead to his greatest successes during the Franco dictatorship, portraying the regime's pro-men. In 1944 death overtook him prematurely ending his career with 38 years. 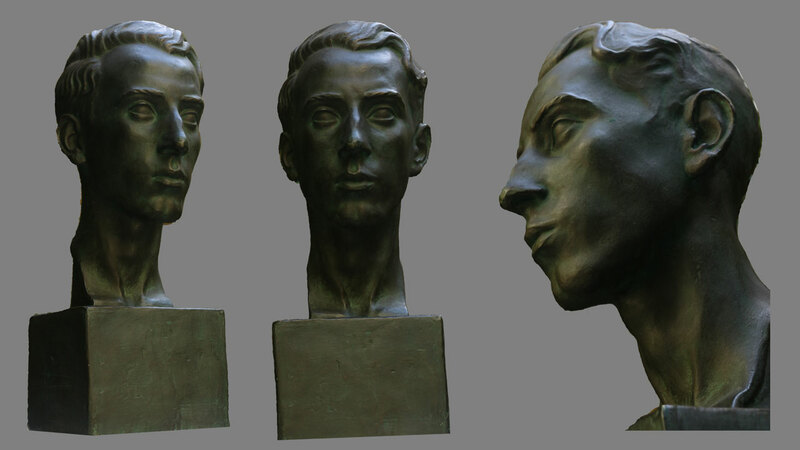 The sculpture that we publish today is a bust of 1927, when he was with Lorca. Just 5 years after joining the Royal Academy of Fine Arts of San Fernando. It is a painted plaster of 48 cm high and 18 x 18 cm base. This model has been reconstructed from 43 images of the original. Thanks to the texture of the paint, its low brightness and simplicity of model has been easy to obtain a very precise result as you can see now in the 3D model. 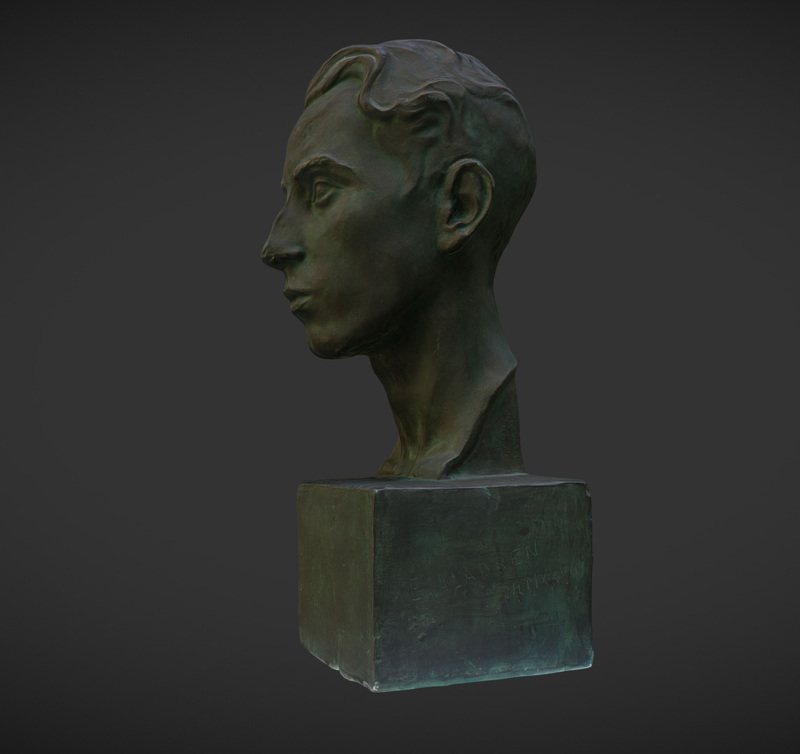 The model can be downloaded completely free in its online version from Sketchfab, or buy the detailed version giving us your support to continue spreading art and culture in 3D from Snaptank. In Moøkan we believe that this is the way to see and enjoy sculpture beyond museums without borders. We look forward to help you digitize your collection. Do not hesitate to contact us if you want to digitize it for preservation or dissemination!